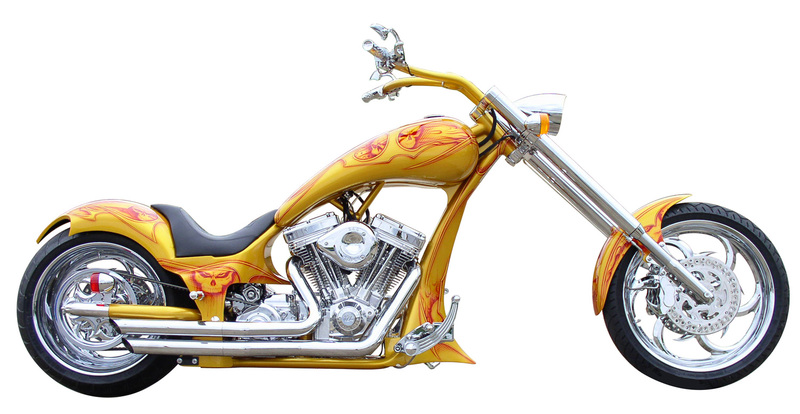 Here are images of Rucker Performance's Gauntlet Chopper. Rucker Performance has incorporated new design queues on the Gauntlet to emphasize its long, lean lines and a more hand formed, custom fabricated look. The Gauntlet features a hand-fabricated drop seat design, providing a low center of gravity and better handling, stability, comfort and ergonomics. In addition to comfort and ergonomics, it is scary-looking too. 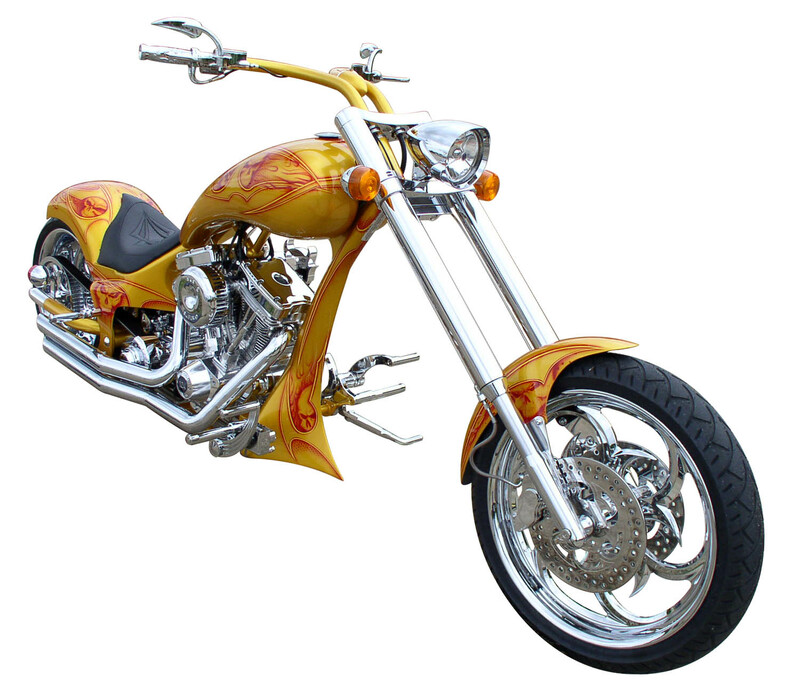 Making a cool chopper is more than just painting some skulls on the body. Here are some technical details. Maintaining the strong performance and technology that Rucker Performance represents, the company has converted the final drive to a 133 tooth belt drive. Boasting a 300 series tire, the Gauntlet has 54 mm inverted forks, right side drive, fully polished 124 cubic inch S&S engine and six-speed transmission. Craftsmanship and quality! Lower center of gravity, good stuff, however old school, bar hopper, bobbers are back and here to stay, in the world of custom choppers! Craftsmanship, balance, composition,lower center of gravity. Good stuff, however old school bar hopper, bobbers are back and here to stay! Weak... just a bunch of shiney nothing. Why don't you get a real bike and start riding properly instead of wasting engines. Talking about this, I must say that this info about resume writing might be really useful for students. Especially if you need to write your resume soon.